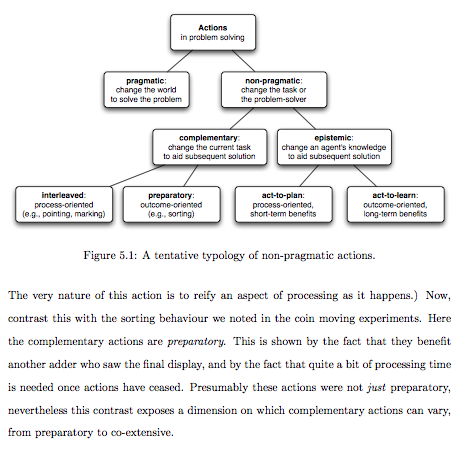 Keywords: Action theory, basic actions, practical vs. theoretical actions, epistemic agency, embodied cognition, complementary strategies, immediate interactive behavior (IIB). Reference: Neth, H., & Müller, T. (2008). 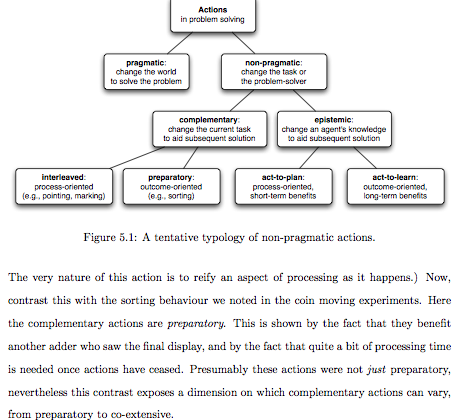 Thinking by doing and doing by thinking: A taxonomy of actions. In V. Sloutsky, B. Love, & K. McRae (Eds. ), Proceedings of the 30th Annual Meeting of the Cognitive Science Society (pp. 993–998). Austin, TX: Cognitive Science Society.